TRAILER: ‘Avengers: Age Of Ultron’ Releases New Trailer! Get ready for another action-packed trailer from Marvel’s Avengers: Age Of Ultron! The newest trailer shows off some extremely epic scenes from the film which shows the Avengers as they battle against the Ultron mechs! Avengers: Age Of Ultron New Trailer — Watch Here! The new trailer for Avengers: Age of Ultron that first aired during the Championship game last night, is now available! The movie will be in theaters on May 1st, so be sure to keep an eye out for more trailers! Scarlett Johansson To Star In DreamWorks’ Live Action ‘Ghost In The Shell’ Adaption! Seems Scarlett Johansson has a knack for playing awesome action chicks in flicks! Everyone should know Scarlett from her appearance as Black Widow in Marvel’s amazing Avengers films, the original The Avengers and the upcoming Avengers: Age Of Ultron, set for theaters in May 2015! But right now she’s moving on from the Avengers, taking on a new status and name as, according to Variety and DreamWorks, she is set to star in the live action adaption of the popular Japanese anime, Ghost In The Shell, a series first published in 1989 and created by Masamune Shirow! The story is set in a futuristic city and follows a covert ops member, Motoko Kusanagi, of the Japanese National Public Safety Commission which specializes in fighting technology-related criminal activities. Director Steven Spielberg, a long time fan, hopes to be able to get the green light for the film thanks to the commitment of Scarlett. He also has the participation of Rupert Sanders who’s taking the helm to direct. Ghost In The Shell will be produced by Avi Arad and Steven Paul along with executive producer, Mark Sourian. Bill Wheeler is the writer of the film. So, what do you guys think of this idea of a live action Ghost In The Shell? Excited, yay or nay? Let us know how you feel in the comments below! New Trailer For Marvel’s ‘Avengers: Age Of Ultron’ Debuting During College Football Championship! All you Avengers fans planning on watching the 2015 College Football Playoff National Championship this month, get ready! You’ll be the first of many able to catch the debut of Marvel’s Avengers: Age of Ultron new trailer! So, switch on the channel to ESPN on Monday, January 12th beginning at 8:30 p.m. EST so you don’t miss your peek! Check out a mini preview of the trailer below! Get A Special Look At Marvel’s ‘Avengers: Age Of Ultron’ — Watch Now! During an episode of Marvel’s Agents Of S.H.I.E.L.D. last night, October 28th, viewers were given the opportunity of a special look at Marvel’s all-new film, Avengers: Age Of Ultron as the Avengers try to prove their worth. If you were unable to catch the special look last night, do not fear! You can watch the clip that aired below! Remember to catch Avengers: Age Of Ultron in theaters May 1, 2015! 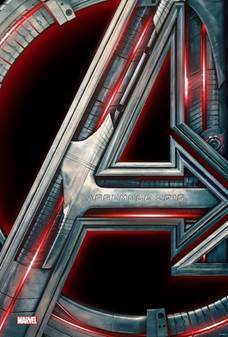 Marvel Studios Presents ‘Avengers: Age Of Ultron’ — Teaser Trailer Inside! Marvel Studios presents to you “Avengers: Age of Ultron,” the epic follow-up to the biggest Super Hero movie of all time. When Tony Stark tries to jumpstart a dormant peacekeeping program, things go awry and Earth’s Mightiest Heroes, including Iron Man, Captain America, Thor, The Incredible Hulk, Black Widow and Hawkeye, are put to the ultimate test as the fate of the planet hangs in the balance. As the villainous Ultron emerges, it is up to The Avengers to stop him from enacting his terrible plans, and soon uneasy alliances and unexpected action pave the way for an epic and unique global adventure. Marvel’s “Avengers: Age of Ultron” stars Robert Downey Jr., who returns as Iron Man, along with Chris Evans as Captain America, Chris Hemsworth as Thor and Mark Ruffalo as The Hulk. Together with Scarlett Johansson as Black Widow and Jeremy Renner as Hawkeye, and with the additional support of Samuel L. Jackson as Nick Fury and Cobie Smulders as Agent Maria Hill, the team must reassemble to defeat James Spader as Ultron, a terrifying technological villain hell-bent on human extinction.Along the way, they confront two mysterious and powerful newcomers, Wanda Maximoff, played by Elizabeth Olsen, and Pietro Maximoff, played by Aaron Taylor-Johnson, and meet an old friend in a new form when Paul Bettany becomes Vision. Written and directed by Joss Whedon and produced by Kevin Feige, Marvel’s “Avengers: Age of Ultron” is based on the ever-popular Marvel comic book series “The Avengers,” first published in 1963. Get set for an action-packed thrill ride when The Avengers return in Marvel’s “Avengers: Age of Ultron” on May 1, 2015. Check out the teaser trailer for the movie below!